Did you recently receive a dental crown or similar restoration? Crowns are one of the most common restorations provided by dentists thanks to their versatility and longevity. 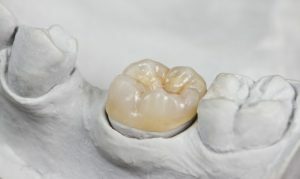 However, many people seem to carry the notion that once that filling, crown or bridge is placed, they won’t need to have it replaced. According to a dentist in Park Slope, this assumption needs to be reconsidered. Dental restorations protect damaged teeth and other oral structures, but it’s rare that they will last for life. Here’s why. Dental restorations are designed to last for long periods of time, there’s no question about that. If you get a dental crown or filling and it breaks or comes loose within six months to a year, even when practicing regular oral hygiene and practicing everyday functions, it’s a sign that something else is wrong. However, fillings, crowns and bridges do carry an average lifespan. For example, fillings can last anywhere from 5 to 15 years, depending on your use and the materials used. In the past, silver fillings were the standard due to their longevity, but tooth-colored fillings offer a more aesthetically pleasing alternative. The same applies for dental crowns and bridges; they also last between 5 and 15 years. However, they can last anywhere from 25 years and longer, but this is very rare. Even so, insurance does not typically cover any of the cost for replacing crowns that have been in the mouth longer than 5 years. Over time, dental restorations begin to break down and come loose, regardless of the material they are made of. As they break down, they slowly expose the natural tooth and gum tissue underneath, allowing bacteria to enter and develop decay. In the case of fillings and crowns, the natural tooth will only begin to break further apart and become unsalvageable. Teeth that were once saved by fillings may require a crown later if another filling isn’t placed in time. A tooth that may have only needed a filling may also need a root canal in left untreated. This treatment requires the need for a crown anyway, so it’s essential that you visit a dentist for treatment if you notice the restoration begin to break down. Looking for more tips to make restorations last? Got a damaged filling, crown or bridge that needs replacement? 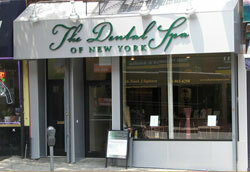 Schedule an appointment with a Park Slope dentist today! Dr. Frank J. Sapienza earned his DDS degree from the New York University College of Dentistry. He offers restorations to restore damaged teeth, including tooth-colored fillings for those looking for a sufficient and more aesthetically pleasing dental filling. To learn more about his practice, you can contact him through his website.